The Valencia franchise has competed in the Western States Hockey League for 11 of the past 12 seasons starting in 2001-2002. From the start of the 2001-2002 season to the end of the 2002-2003 season the team competed as the Valencia Flyers. After a hiatus season in 2003-2004 the team rejoined the WSHL in for the 2004-2005 season as the Valencia Vipers and stayed under that name until the end of the 2006-2007 season. The start of the 2007-2008 regular season brought about a name change back to the original franchise name, the Valencia Flyers, and has remained that way to this day. 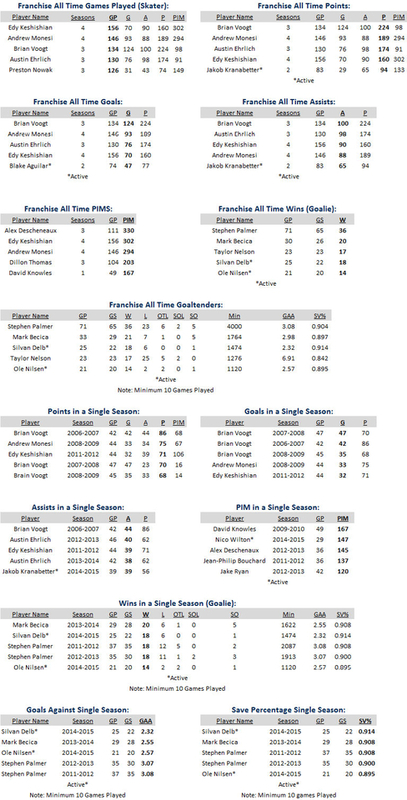 The teams most successful regular season came in 2008-2009 when the team recorded a franchise record 32 wins in 50 games played, finishing second in the Western Division. Since the inception of the 46 game WSHL schedule in 2010, the team has won over 20 game three times, including a 27-15-4-0 during the 2013-2014 season.